View Alt-Svc for the people on Notist. Alt-Svc is short for HTTP Alternative Services. It's a bit like DNS and a bit like HTTP redirects with some added oomph. It's a way for an Origin to nominate an Alternative host, protocol and port. 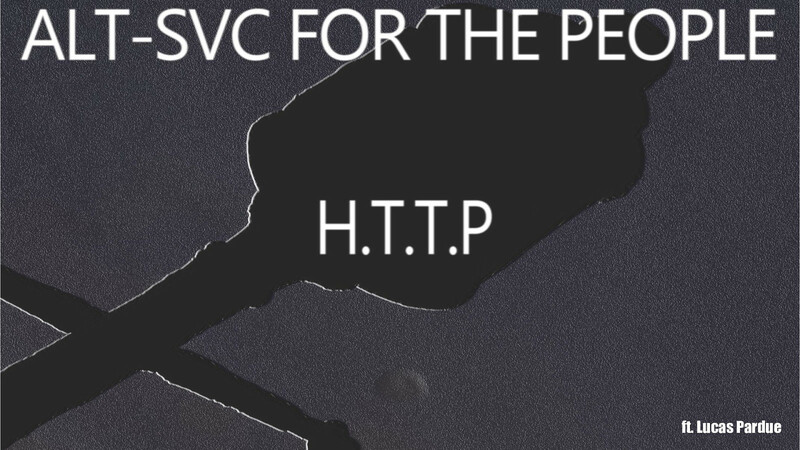 It's the only way specified to bootstrap a new HTTP/QUIC connection. It's many things to many people. It isn't implemented in many User Agents beyond browsers. I've said too much, I havn't said enough. This presentation discusses Alt-Svc features and foot guns. Play Alt-Svc minesweeper to determine where YOU'LL go wrong when trying to implement Alt-Svc in your application! N.B. REM were not involved in the making of this production. Lucas puts presentations on for free. You can too.